If you are looking for a romantic retreat, a group outing or just your own private get-away, The Marsh Harbour is the place to be. . . a place that exudes warmth and charm, not glitz and glamor. Like B&B's of old, an Inn-Keeper makes you part of the family and attends to your needs. You enjoy complimentary breakfast in the morning and daily room refresh, and as with all our accommodations, your room or suite also includes your golf cart transportation. 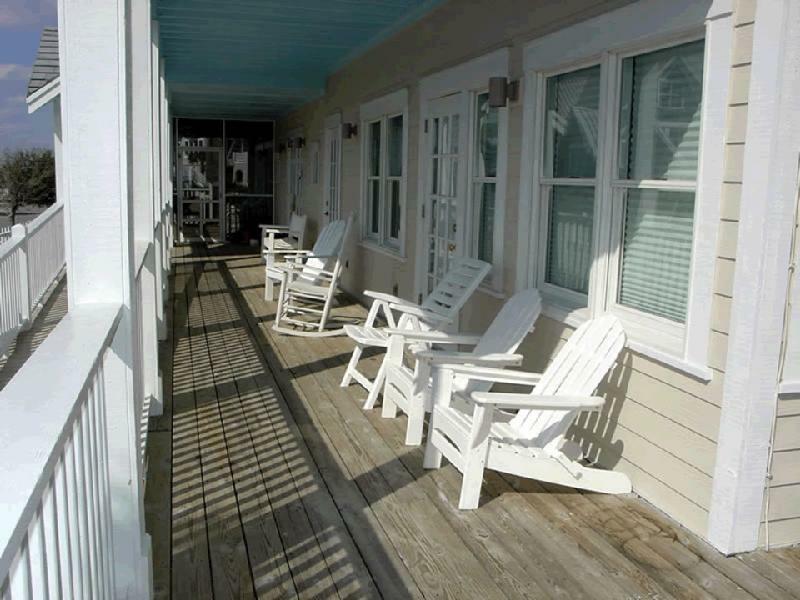 Room balconies and our common area porches and decks give you a front-row seat to spectacular sunrises and sunsets over the marsh and harbour and, with views out to the Atlantic Ocean. 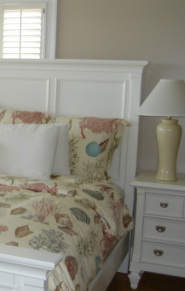 Accommodations include one and two-bedded queen rooms and a selection of suites that can accommodate two to six people. Each suite has individual floor-plans and custom interior design. Overlooking the Marina on Bald Head Island, The Marsh Harbour Inn is close to everything, including The River Pilot Cafe, MoJo's, the Kayack launch, Island Passages Shop, the Ferry Terminal and "Potato Beach." For a full-service vacation on Bald Head Island, The Marsh Harbour is the best of options. Prices vary by room/suite but range from $295 per night to $550, in season. Discounts available for weeknight stays or last minute bookings. Call for availability at (910) 454-0451.